Where can I place a sign for my business in the U.S. 1 work area? All signs, temporary or permanent, must be placed on private property, outside of PennDOT’s right-of-way. All signs must have an approved permit from Bensalem Township and comply with township ordinances. Permit applications can be found at https://www.bensalempa.gov/applications.html and can be submitted by email to permitcenter@bensalempa.gov. How do I know where PennDOT’s right-of-way line is located for this project? The right-of-way line for the U.S. 1 work area may be marked with a line of stakes or painted on the surface beyond the edge of the existing roadway. 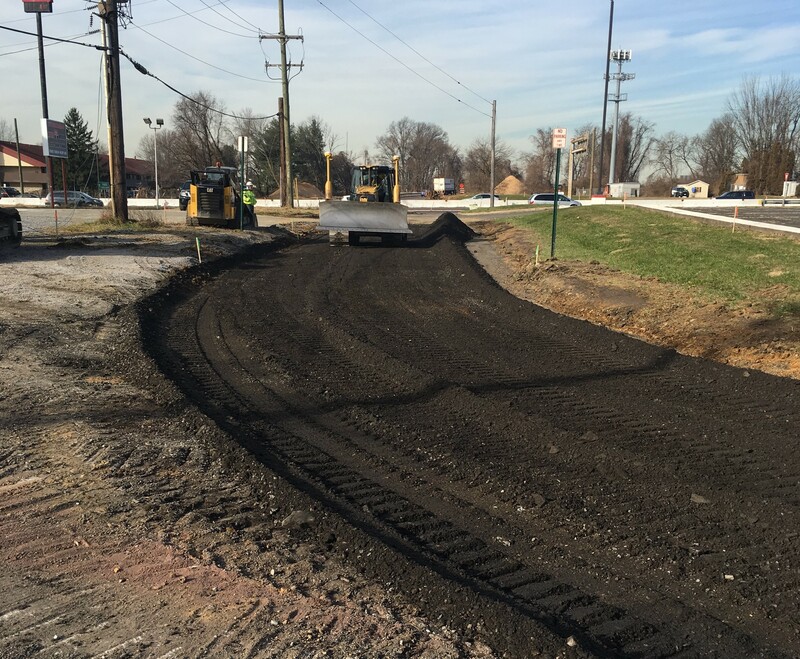 If you would like help determining the location of the right-of-way line, please Email us at info@us1bucks.com or use the contact form on this website and someone will contact you. What is the Bensalem Township sign ordinance? The Bensalem Township Sign Ordinance can be found at https://library.municode.com/pa/bensalem/codes/code_of_ordinances?nodeId=PTIIGELE_CH232ZO_ARTXIVSI. Subscribe to our email list to receive the latest project news and travel advisories for the U.S. 1 Bucks Improvement Project. Crews completed shoulder paving, median removal and other preparations for a traffic shift in early February that signals the start of three years of construction to replace three bridges, and widen and improve a mile-long section of U.S. 1 and the ramps to and from Route 132 (Street Road) in Bensalem Township, Bucks County. A bulldozer grades a new driveway for the Red Roof Inn off U.S. 1 in Trevose. Crews cleared vegetation at the Street Road and U.S. 1 interchange. Workers finish paving to widen the Street Road ramps to and from U.S. 1 South. Alan Myers Construction, of Worcester, PA, is the general contractor on RC1. Fall 2018 – Early-stage construction is underway this fall on PennDOT’s $94 million U.S. 1 Improvement Project in Bensalem Township, Bucks County. Crews will work this fall and into the winter to reconstruct and widen the existing shoulders and median along U.S. 1 (Lincoln Highway) between Old Lincoln Highway and the Rockhill Drive overpass north of the Turnpike Interchange, and on PA 132/Street Road about three-quarters of a mile east and west of the U.S. 1 (Lincoln Highway) overpass. The shoulders are being widened temporarily so that they can be used as travel lanes during upcoming construction stages to widen the highway. Work also is underway this fall to install a temporary traffic signal at the intersection of PA 132/Street Road and Township Road T-329, which will be extended to provide access from PA 132/Street Road to several businesses along northbound U.S. 1(Lincoln Highway). New driveways also will be constructed to access the Red Roof Inn from PA 132/Street Road. Work also will begin this fall on improvements to the storm water management system on PA 132/Street Road, and on installation of environmental controls for the project, including stream mitigation activities at various locations along the corridor. In early 2019, work will begin on reconstruction and widening of the northbound roadway and bridges on U.S. 1 (Lincoln Highway), as well as replacement and improvements to the PA Turnpike and PA 132/Street Road ramps on the northbound side of U.S. 1(Lincoln Highway). 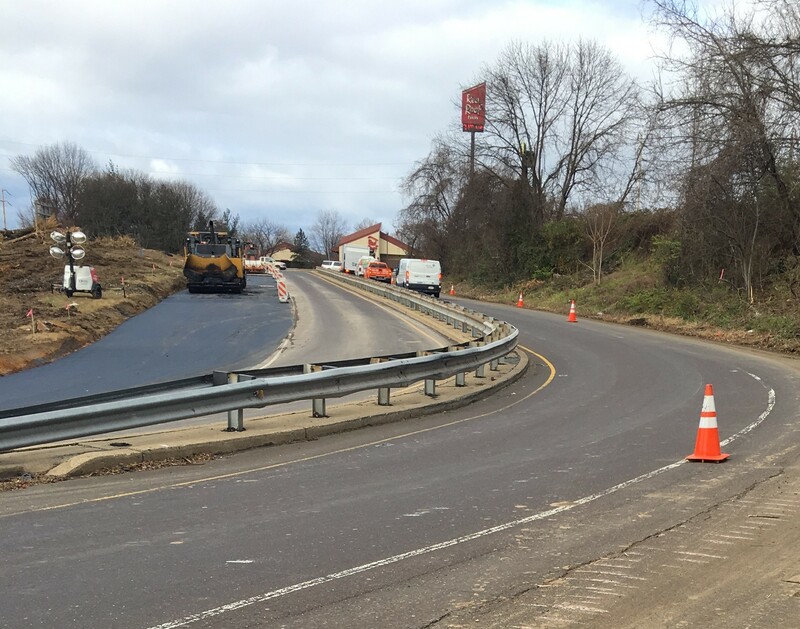 In addition, work will begin, weather permitting, on reconstruction of eastbound PA 132/Street Road and construction of two new ramps adjacent at the U.S. 1(Lincoln Highway) Interchange at PA 132/Street Road. Allan Myers, LP of Worcester, PA is the general contractor. 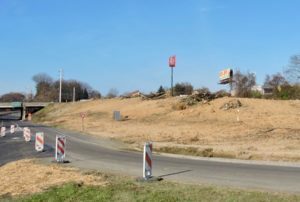 November 2018 – The Pennsylvania Department of Transportation (PennDOT) has awarded a $93.9 million contract to Allan Myers, LP of Worcester, PA for the reconstruction and widening of a two-mile section of U.S. 1 (Lincoln Highway) from Old Lincoln Highway to just north of the Pennsylvania Turnpike interchange in Bensalem Township, Bucks County. The project, U.S. 1 Section RC1, is the first of three construction contracts that comprise PennDOT’s U.S. 1 Improvement Project to widen U.S. 1 (Lincoln Highway), replace aging bridges, and complete a number of highway safety enhancements along a four-mile segment of U.S. 1 that extends from Old Lincoln Highway in Bensalem Township to just north of the PA 413 (Pine Street) overpass in Middletown Township and Langhorne Borough. installation of Intelligent Transportation System components. The RC1 project will also construct sustainable enhancements adjacent to and beneath U.S. 1 (Lincoln Highway), including rain gardens and infiltration basins, construction of a sound barrier wall along a portion of southbound U.S. 1, and other miscellaneous construction. Major modifications also will be made to the ramps to and from PA 132/Street Road and to the ramps to and from the PA Turnpike Interchanges with Route 1. 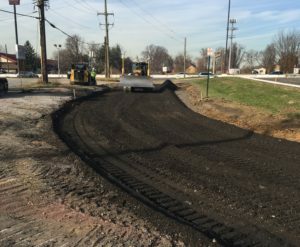 Roadway and drainage improvements are also being made along Street Road for about three quarters of a mile east and west of Route 1. Section RC1 construction is scheduled be completed in late 2022.